July will be a busy month for GDG Philippines. We have three events this month: a Maps meet up, a bootcamp for the Philippine Transit App Challenge, and an Apps Monetization meetup. Have you seen the new Google Maps which was anounced in Google I/O 2013? 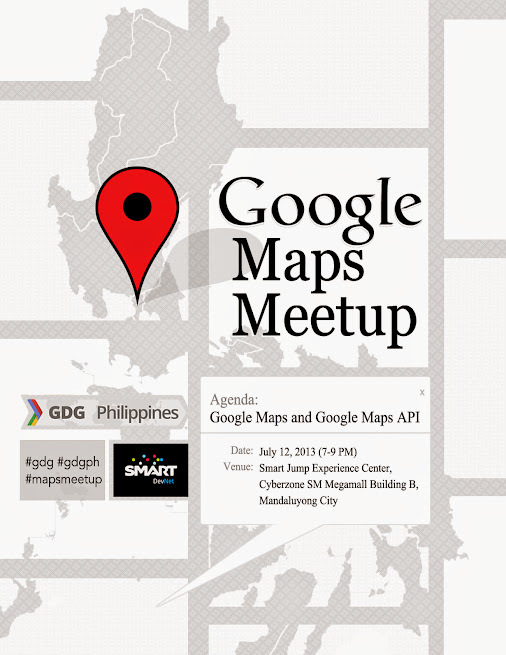 We're having a meet up about it and the Maps APIs on July 12 (07:00 PM to 09:00 PM) at Smart Jump Experience Center, Megamall. This event is sponsored by Smart DevNet. For more details about the meet up, check out the Google+ events page. Joining the Philippine Transit App Challenge? GDG Philippines, GBG Quezon City, GBG Makati, GBG Mandaluyong and GBG San Juan brings you the GBG-GDG Bootcamp. We have arrange the topics that will help you get ready for the challenge. 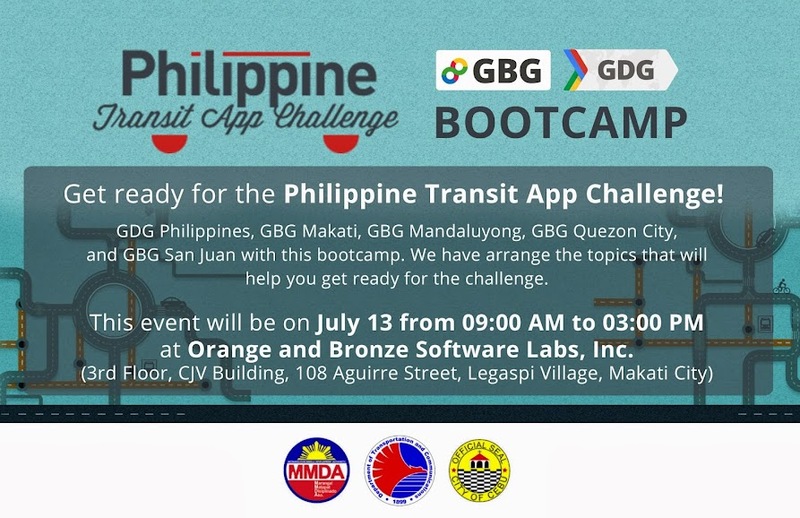 This event will be on July 13 from 09:00 AM to 03:00 PM at Orange and Bronze Software Labs, Inc. (3rd Floor, CJV Building, 108 Aguirre Street, Legaspi Village, Makati City) For more details about the bootcamp, check out the Google+ Events page. In collaboration with GBG Makati and Globe Labs, we will have an apps monetization meetup on the last week of the month. In this meetup, we'll have talks about various ways on how you can monetize your apps. We're still finalizing details about it as of now. We'll be updating this post as soon as we we have the details. To be more updated about GDGPH events, check our website, add our Google+ Page in your circles, follow us on Twitter or like our Facebook Page.